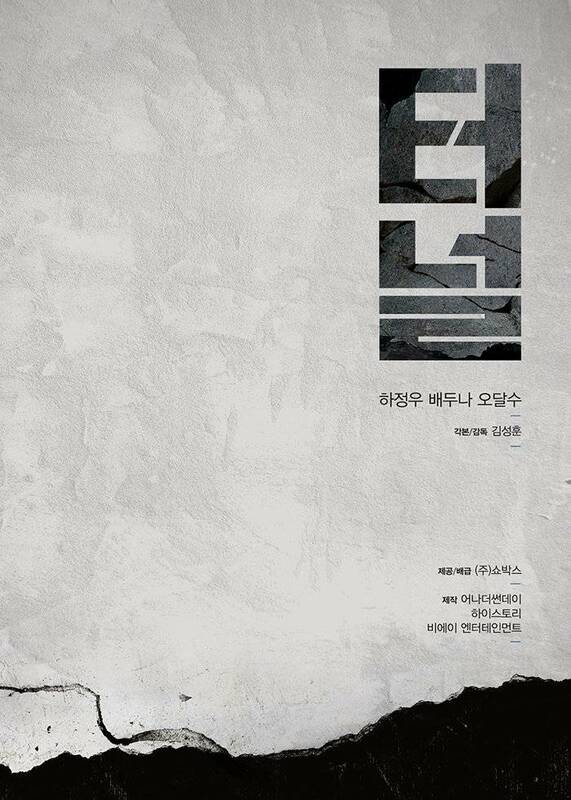 'Tunnel' is based on the novel with the same time by author So Jae-won. 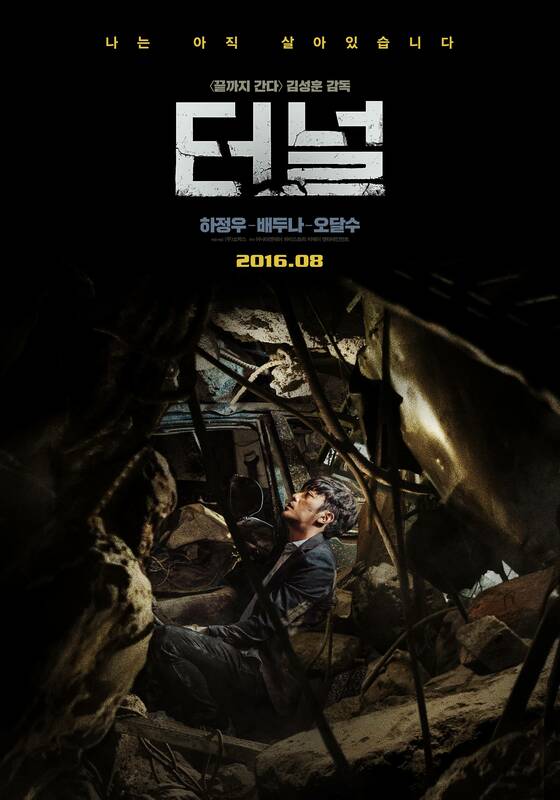 It is about a man, who is trapped in a tunnel and tries to get out of it. 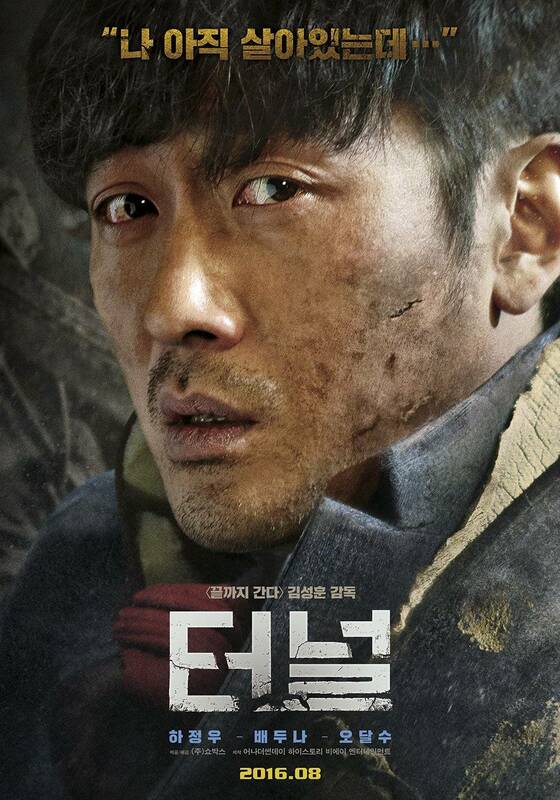 Ha Jung-woo will play the protagonist, who is trapped in a tunnel due to careless construction. N to Star in "Children of Nobody"
Korean Movie of the Week "Tunnel"
[Orion's Daily Ramblings] Chu Hun-yub Joins Netflix's "Kingdom"
Scene stealer Jeon Jin-ki to join "Money Bouquet"
Heo Sung-tae ends in death on "Witch's Court"
Yoon Hyun-min to star in "Witch's Court"
Jung Suk-won to come back with "Bad Guys Season 2"
You can do it Kim Woo-bin and Moon So-ri, "Juror 8"
[Just out on DVD] Korean Movies "Tunnel" and "The World of Us"
[Upcoming DVD Release] Korean Movie "Tunnel"
Cho Seung-woo and Bae Doona Not Yet Confirmed for tvN's "Secret Forest"
Who will win the top prize at the 37th Blue Dragon Film Awards? 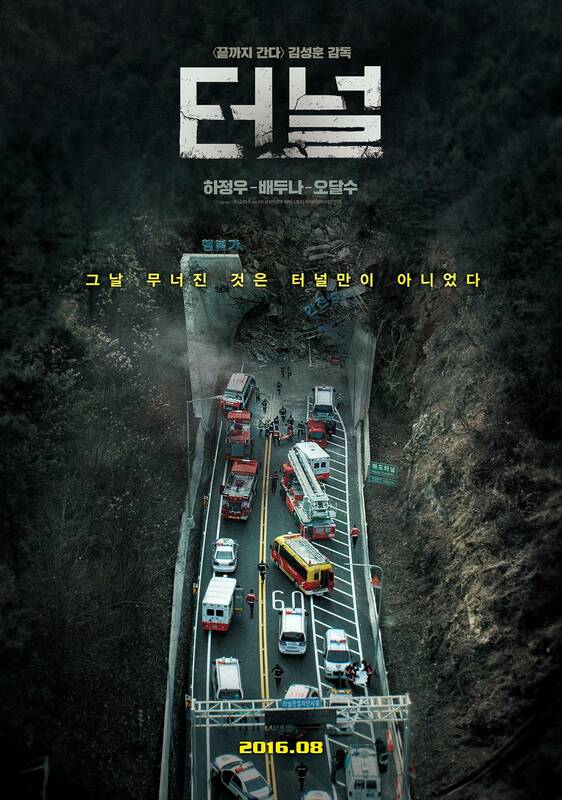 [Photos] Updated cast and images for the Korean movie "Tunnel"
[Photos] Added new stills for the upcoming Korean movie "Tunnel"
[Photos] Ha Jung-woo trapped in the "Tunnel"
Oh Dal-soo takes home, Best Actor Award, "Thanks to a good movie"
View all 113 pictures for "Tunnel"